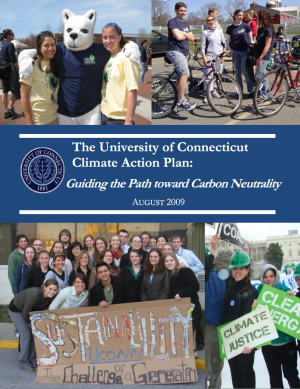 The 2015 Interim Assessment of UConn's Climate Action Plan summarizes background information related to UConn's Climate Action Plan (CAP) commitment to a carbon‐neutral campus and reviews progress made since the CAP was approved in 2010 and reaffirmed by President Herbst in 2012. 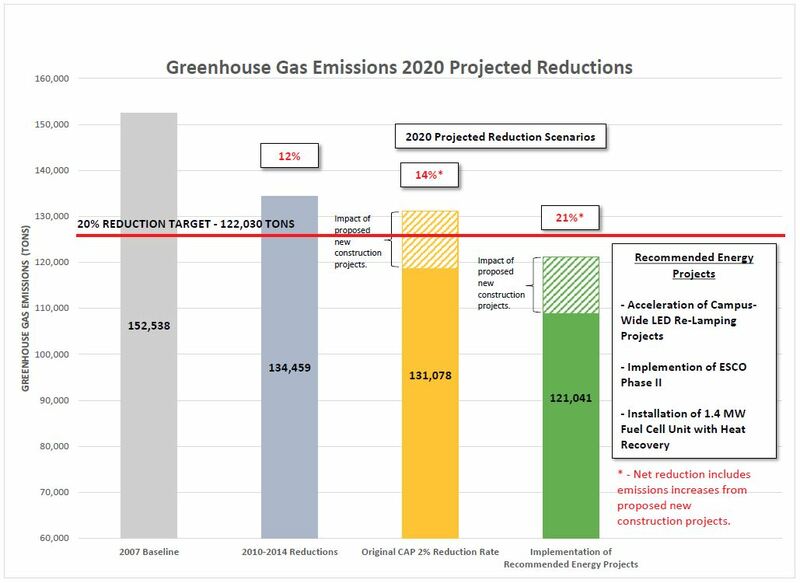 The assessment uses data derived from past experience to estimate greenhouse gas (GHG) emissions/reductions to be achieved from ongoing and potential projects. Energy models and emissions factors were also used to estimate anticipated GHG increases from planned capital improvements and the addition of fuel‐burning equipment. If reliable cost data is available for projects, it is cited in order to recommend the most effective ways to meet or exceed our interim carbon reduction goals. In December 2016, President Susan Herbst endorsed UConn's 2020 Vision for Campus Sustainability & Climate Leadership, which provides suggestions for reaching the goals outlined in our Climate Action Plan (CAP) above.